Games. No, not that kind. Family arrives, they take off their coats, you guys shoot the breeze a bit - catch up. Eventually talk dries up and it's time. Time to get vicious. Draw blood. It's time to play Skip-Bo. The most cutthroat game of turning family into ex family. Around my house a game of Skip Bo generally devolves from friendly family banter time into, "You were a mistake!" or "You're the reason my husband doesn't say I love you anymore!" No one in my family plays video games except for me. I've always felt a little weird about that. My brother used to play DOTA 2 but then said that he has "more important" things to do now. Jerk. I'm sure I'll let him have it come Skip Bo time. I love card and/or board games. So let's open it up. What are your horror stories from Christmas board game time? Someone get shanked for invading Ukraine? Did Mage Knight interrupt the Holy Night? Does everyone on your favorite gaming website think that you're actually impersonating your sister (where's the body hidden Z?) after a particularly nasty game of Connect 4 saw her go missing? 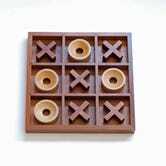 Twenty dollar Tic Tac Toe set. WTF? 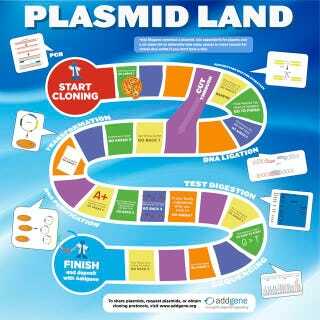 And wow....plasmid land. I am totally printing that and sending it to my former lab mate in DC. That's classic.